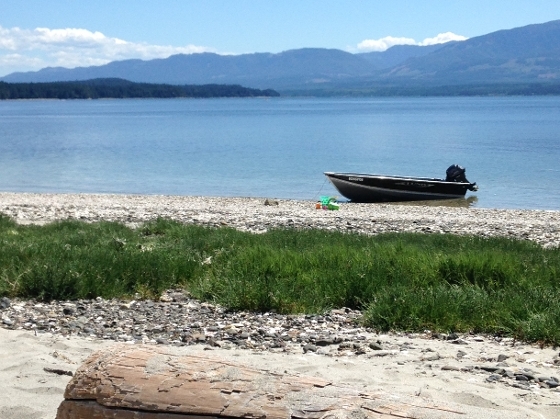 One of the main reasons people love the Comox Valley is its proximity to water – be it lakes, rivers or ocean. And for those who dream of living on waterfront, this beautiful area certainly offers plenty of options. Buying a house is always a fairly involved process that takes research and patience, but when you add in the fact that a property is waterfront, things can get even more intricate. 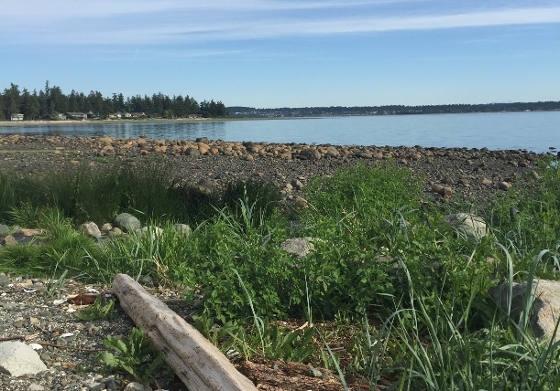 As a long-time Comox Valley Realtor®, I’ve sold my share of waterfront locations and guided numerous clients through the process. So, to help those who are thinking about jumping into waterfront, here’s a list of some of the things to consider when looking for that dream home on the water’s edge. Waterfront properties have increased exposure to weather-related issues from high tides, storm swells and winds, which can lead to flooded and damaged homes or neighbourhoods. Rivers, too, can swell and cause swamping of low-lying areas. Therefore, it’s essential to be aware of these potential issues and assess your need for insurance, what is available to you and at what price. A home can be fixed or up-dated, but when it come to a piece of property, what you see is what you get. If the water is mucky and the property stays in the shade all day, there’s not much that can be done. Love the location and you’ll be set. Wind-swept vistas and hot sunny days are what make so many properties on water ideal, but they also come at a cost. Saltwater can play havoc with your home’s siding, roof, fences and pretty much anything else facing the elements. The wear is significantly more than other more sheltered locations. Freshwater properties require less attention typically, but storms, wind and waves can still cause extra work, so be ready to spend more on upkeep. Oftentimes, there are specific environmental regulations for waterfront properties or those sitting on bluffs overlooking the water? Check into local bylaws about any restrictions against building improvements near waterways. Erosion issues, wildlife, septic and underground irrigation systems are all items to be considered and investigated. The seller, your real estate agent, neighbours, local regulatory bodies and maybe even a geotechnical engineer should be called upon to shed light on the location and any particular issues. Sometimes there are municipal bylaws that state certain responsibilities must be met in terms of maintenance, upkeep, storm surge protection, breakers, etc. Additionally, these bylaws may keep you from making changes to your home or property, so be aware of any such matters. Your Realtor® should be able to help you navigate all these issues and more. Put your trust into someone who has a good knowledge of the local market and neighbourhoods and you’ll be well cared for. All that being said, you shouldn’t be scared of waterfront. Yes, there are a few more things to think about, but it will all be worth it in the end. As with buying any home, you need to be patient, do your research and listen more to your head than your heart. There is something out there for you, and with the right help you’ll find it. To find out about current waterfront listings for the Comox Valley, please get in touch through my website or Facebook page.